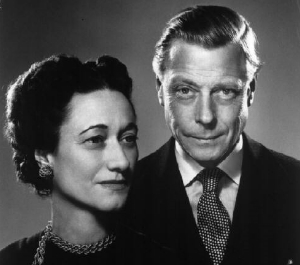 Most people have heard of the English king who abdicated in the 1930's to marry a commoner, and of the storybook romance that led him to choose the twice-divorced Wallis Simpson over the throne of England. 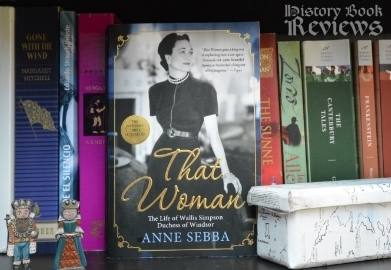 Much more obscure are the facts behind the story, and the real figure of the shadowy Wallis Simpson, which Anne Sebba brings to life in this wonderful non-fiction account. The most fascinating thing about this book for me was the analysis of the complex relationship between Wallis and the ex-King Edward VIII which, as it turns out, can hardly be called a romance at all. Sebba's biography of Wallis Simpson is detailed, in-depth, and captivating. However, the concrete facts of Wallis' life are not the main focus of the book; rather, her life is examined in an attempt to understand her nature and the psychology behind her actions. Wallis Simpson is one of those historical figures that creates extremely polarized opinions, with some considering her to be an evil harlot or even a witch and others seeing her as the wronged, misunderstood heroine in one of the greatest true-life love stories of all time. Sebba's book succeeds at walking the line between these extreme viewpoints, and I admired her ability to ultimately remain neutral while discussing the woman behind the myths. My greatest frustration in history (and the cause of many angry rants) is the polarization of historical figures, casting them as either good or evil, black or white, without acknowledging all the nuances and shades of grey within all people. So I was very impressed with Sebba's treatment of Wallis, recognizing her good qualities as well as her bad, and portraying her as a complex human being who is not necessarily likeable but who we can all relate to. the previous King Edward VIII. This book covers Wallis' childhood and early life, although fairly briefly, with the majority of the book focusing on her relationship with the King. Sebba builds Wallis' psychological state around a theory that she had a sexual dysfunction, or some degree of hermaphroditism. This theory is not UN-likely but it is not well-supported either, being based mainly on her lack of curves, her square, mannish face (I actually thought she looked very pretty in most of the photographs in the book), her lack of children, and some ambiguous comments made by one of her ex-husbands. The revelation in this book is the ugly truth behind Wallis' relationship with Prince Edward of Wales/King Edward VIII/the Duke of Windsor. Sebba describes a whole host of psychological abnormalities and complexes belonging to Edward who, no matter how sympathetic you are of him for his childhood traumas and distant parents, can hardly fail to make you grimace with revulsion and thank whatever gods you believe in for your own significant other. His pathological need for Wallis to mother him, subjugate him, and control him could be something out of a storybook, but only one written by Freud. The picture Sebba presents is very different than what has been presented by the media and in stories; it is sad, pathetic, unromantic, and at times disturbing. It is, however, the real history, and the truth of it is supported by Wallis' and Edward's own letters, as well as testimonies from those that knew them well. In this way it is an enthralling study of human nature that delves into the deep, dark recesses of the human mind and seeks to explain why these two acted as they did and changed history forever. If you are hoping to read about a beautiful historic romance, this book is not for you. Unless you think it's romantic when a man threatens to cut his own throat to keep a woman from breaking up with him. But if that's the case, there are probably more important things you should be doing with your time than reading. If you want to understand the real story behind Wallis Simpson and (previously) King Edward VIII, I highly recommend this book. The true natures of these two characters can never be fully understood through photographs or letters or biographies, but this study does a wonderful job illuminating their personalities and their psychology, and helps the reader begin to understand the complex lives that intertwined to unravel a king.